SARASOTA — One Riverview football team is packing its helmets, jerseys and pads in mothballs. Another Riverview “11” is prepping for a season-ending rivalry game as well as another trip to the post-season playoffs. It’s the Riverview Sharks who are hanging it up until spring training and the 2019 season. Coach William Mosell’s squad lost its second straight last Friday before calling it a season. The Sharks conclude at 3-7 and 1-5 in the tough 8A District 6, tied for last place with Palm Harbor University School. The Riverview team from Hillsborough County had the tough luck of ending the season with the two top District 6 teams: One from Manatee County and the other from Sarasota County. 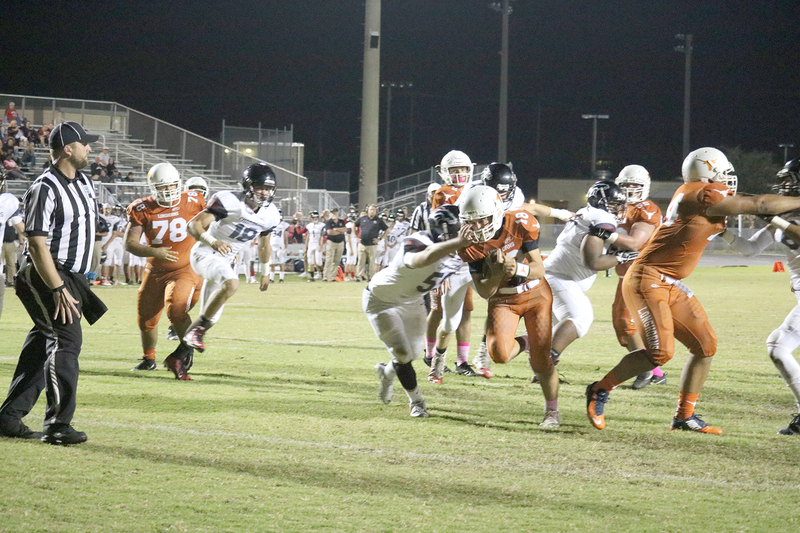 On Oct. 26 the Sharks dropped an away game at Sarasota to the other Riverview. The Rams celebrated senior night by trouncing the Sharks in a “clock-running” or mercy-rule game, 45-12. The Sharks fell behind early 28-6 at the end of the first quarter. They could only muster six more points in the fourth quarter, and could only slow down, but never stop the Rams who head into their last regular game with rival Sarasota this Friday night. 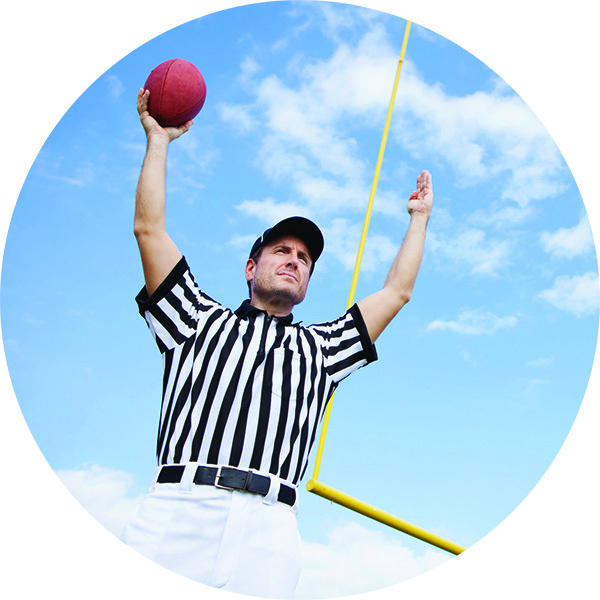 Details of a playoff game are not yet determined. The Sharks’ offensive totals last week on the road did not even match the rushing yards of one Ram runner, Ali Boyce. For the night, the Sharks on offense ran the ball 21 times for 116 yards and one touchdown. Through the air, the Sharks managed 115 yards on 11 completions, including one score. The Rams’ Boyce ran the ball 17 times and amassed 288 yards, scoring three times on runs of 1, 24 and 34 yards. After beating Newsome 35-26 on Sept. 21, the Sharks ate up Strawberry Crest 13-3 on Oct. 12. That was it down the stretch for the Sharks, however, who lost close games to Steinbrenner and Alonso before getting blown out by the two counties south of Hillsborough to round out the season. Lennard Longhorns 2018 Homecoming Court, first row, from left, Tre Jones, Destiny Dexter, Johnny Vega, Michelle Perez, Alizzay Gomez, Desiree Vasquez, Zaniya Graham, Christian Macedo. Back row, Kody Brown, Giana Graham, Laura Carrasco, Casey Walker and Mikele Younger. RUSKIN — Friday night could be the last time you get the opportunity to see the legendary coach Earl Garcia pace the opposition sidelines on the Lennard High School football field. Known as the winningest high school football coach in the Tampa Bay area with 256 victories, 66-year-old Garcia brings his 4-5, 3-2 Hillsborough Terriers to town for a non-conference match-up with the Lennard Longhorns. 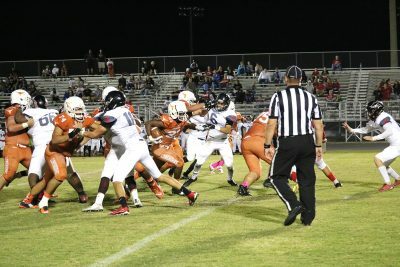 The Longhorns are fresh off their second win of the season, a Tino Hunt-fueled rout of Strawberry Crest on Homecoming 48-10. 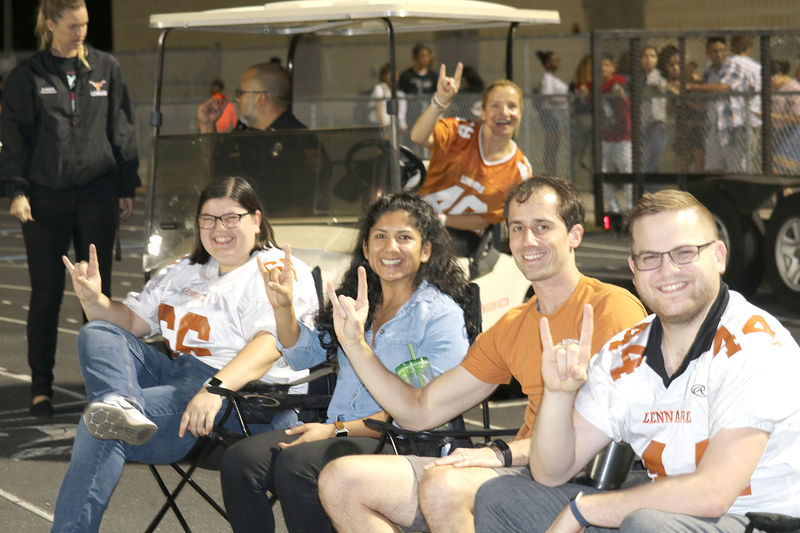 After going winless last season, coach Matt Kitchie has pulled off some magic himself, coaxing two wins out of a Longhorn squad, which had almost forgotten how to win. The Longhorns had lost seven in a row this season since breaking into the win column against Blake 55-32 back on Aug. 27 in Tampa. In other South Shore action, the Friday Night Lights on Nov. 2 also featured the season finale for coach Frank LaRosa’s 2-4, 5-4 East Bay Indians, who traveled to Tampa to play Blake 1-4, 3-6. Spoto, meanwhile, travels to Leto Friday night to wrap-up the season. 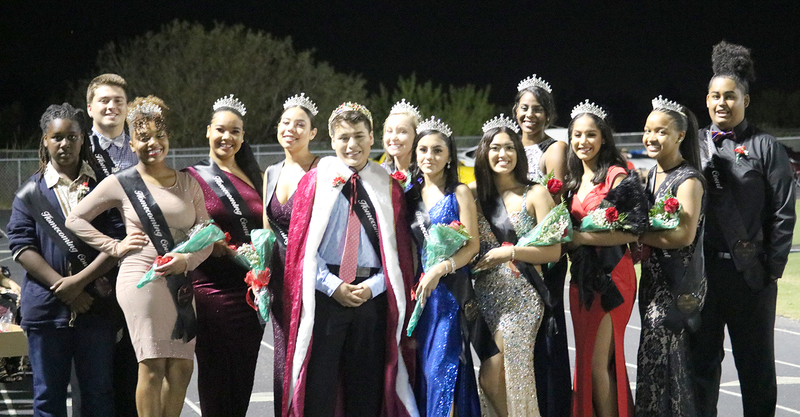 Last year’s Homecoming Queen came home for Homecoming 2018. Shelbie Davis, now a student at Hillsborough Community College. On a breezy Homecoming night before a big crowd, Lennard rode the stampede of its top Longhorn, Hunt, who gouged the Strawberry Crest defense for 259 rushing yards on 18 carries, adding in two running touchdowns, behind the orange blocking. For good measure, Hunt snared a Hayden Hensley short pass for a TD to push the score out to 14-3 in the first quarter. While Hunt was getting most of the calls from the line of scrimmage, Lennard’s Corey Freeman complemented his stable mate with 206 total yards of offense, accumulated in a variety of ways. Freeman gained 76 yards on 5 rushing plays with his longest run a 63-yard jaunt, including one TD. Plus, Freeman added 94 yards on kickoff returns and 36 yards on punt returns. Three other seniors joined the TD parade as Mike Rigolizzo scored once, Trajan Moss scored once, and quarterback Hensley scored the Longhorns first TD on a short dash to the house to break the ice. Longhorn junior Deangelo Pallares showed a strong, consistent leg, sending 6 of 7 PATs through the uprights. Tino Hunt, #21, Lennard’s junior running back, gets some blocking and takes it to the house for one of his 3 TDs on the night. Hunt, #21, a junior, has some season statistics to write home about…and to thank his offensive blockers for. Hunt has carried the ball 210 times in nine games for 1,474 yards and 14 touchdowns. His longest run of the season was the 70-yard score against Strawberry Crest. Hunt averages right at 7 yards per carry, usually against defenses stacking the box against him. Garcia will stack the box on defense and put the offensive burden on his star quarterback, senior Charlie Dean, #3, who throws the ball about 20 times a game and completes about 50 percent. Last week Hillsborough lost 10-6 to District 7 leader Armwood, 5-0, 8-1. Kitchie will be relying on defensive stalwarts Delvin Lawson, Kourtland Mitchell, Amarie Jones, Davian Papius and their cohorts on D to slow down Dean and Co. and hope Hunt and Freeman can score enough points to notch the upset in the Longhorns last game of the season. 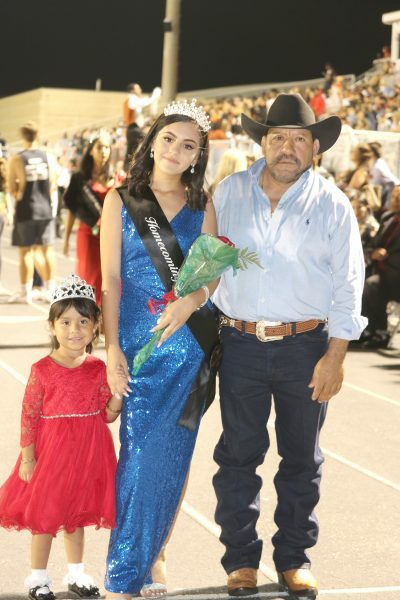 2018 Lennard Homecoming was enjoyed by all ages, including Michelle Perez, center, of Homecoming Court, with her niece at left, Aaliyah Gonzalez, and her stepfather Mario Galarza. Longhorn quarterback Hayden Hennsley, #18, heads to the end zone for an early TD despite a hand to the face mask in the Strawberry Crest win. Math teachers enjoy Lennard football game and homecoming festivities from their sideline chairs. From left are Sarah Hooven, Judith Ziss, Sam Ziss, Jon Montgesi.